Water absorption gives an idea on the internal structure of aggregate. Aggregates having more absorption are more porous in nature and are generally considered unsuitable, unless found to be acceptable based on strength, impact and hardness tests. 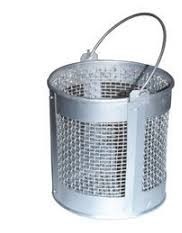 Wire basket of not more than 6.3mm mesh or a perforated container of convenient size with thin wire hangers for suspending it from the balance. The setup consists of container for filling water and suspending the wire basket in it and an airtight container of capacity similar to that of basket, a shallow tray and two dry absorbent clothes. About 2 kg of aggregate sample is taken, washed to remove fines and then placed in the wire basket. The wire basket is then immersed in water, which is at a temperature of 220C to 320C. Immediately after immersion the entrapped air is removed from the sample by lifting the basket 25 mm above the base of the tank and allowing it to drop, 25 times at a rate of about one drop per second. The basket, with aggregate are kept completely immersed in water for a period of 24 ± 0.5 hour. 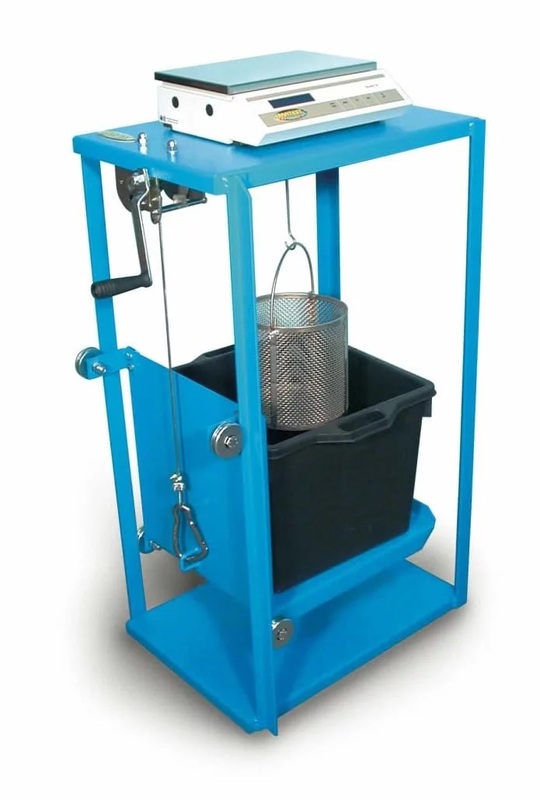 The basket and aggregate are weighed while suspended in water, which is at a temperature of 220C to 320C. The basket and aggregates are removed from water and dried with dry absorbent cloth. The surface dried aggregates are also weighed. The aggregate is placed in a shallow tray and heated to 100 to 1100C in the oven for 24 ± 0.5 hours. Later, it is cooled in an airtight container and weighed.